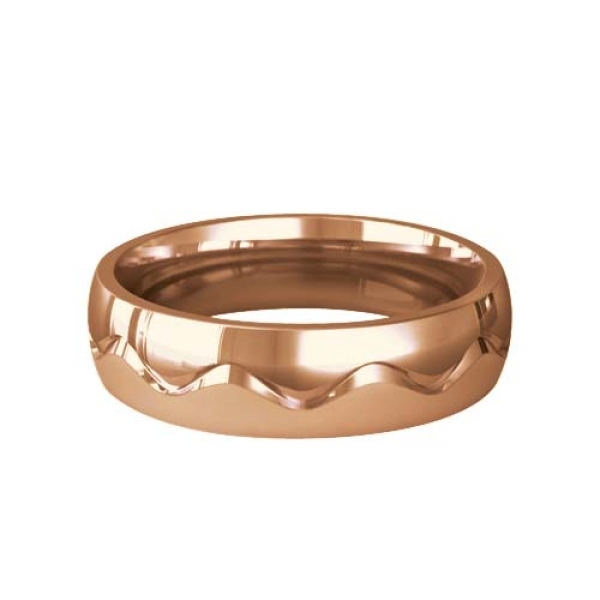 Rose Gold Wedding Ring Designer Pattern Desir. 3 to 6mm wide Desir D shape wedding ring divided in two by a curvy ribbon cut around the centre. Each side is different one being sand blasted the other highly polished.